I’m such a movie fan!! 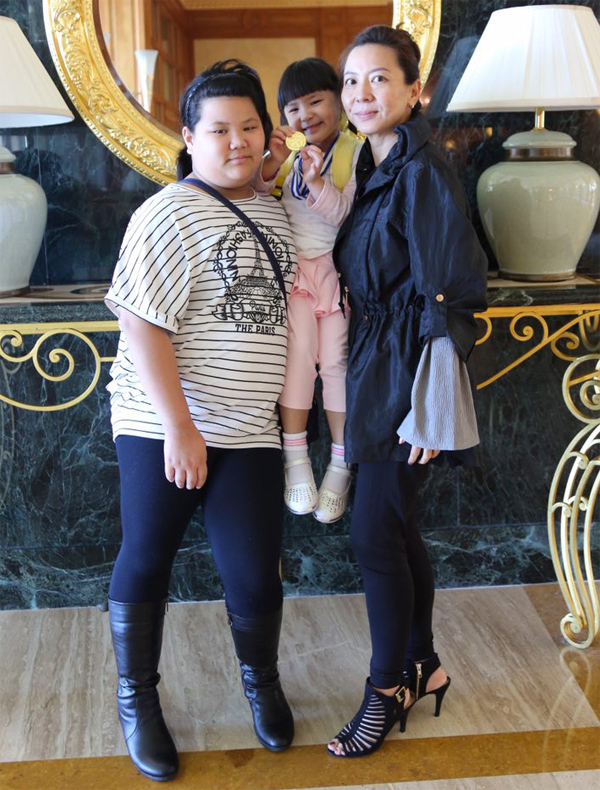 Yesterday, I caught three movies and two of them are Filipino movies – Sonata and Kita-Kita, made possible by Mahakarya Institute of Arts and the Philippines Embassy in Brunei Darussalam. Ok, the other movie was Bumblebee but I shall focus on the Filipino movies since it’s the Brunei Film Blitz season. This is coming to the second week of @bruneifilmblitz and it has simply been amazing from the beginning. 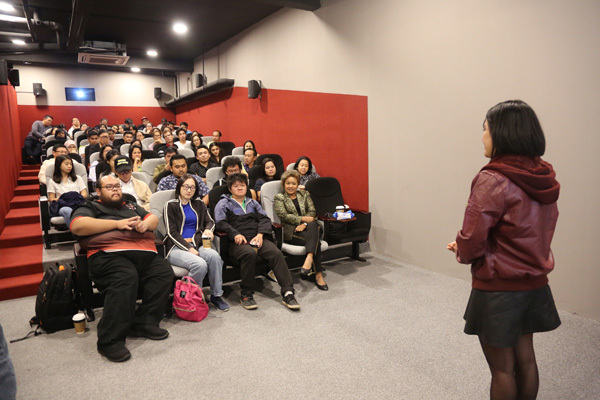 Yesterday was the showcase of Filipino movies at Film Blitz. 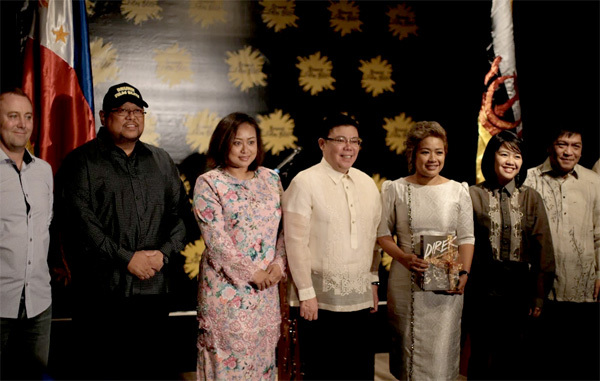 The audience had the privilege to watch three movies produced from the Philippines – Kakabakaba Ka Ba?, Sonata and Kita-Kita. My favourite was Kita-Kita though I have not caught Kakabakaba Ka Ba? 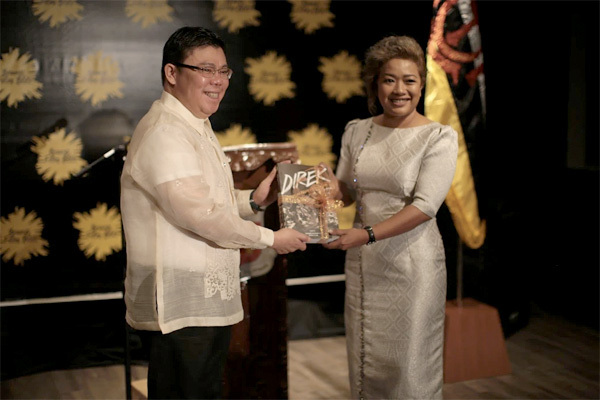 Yesterday the Embassy of the Philippines in Brunei Darussalam marked the 100 years of Philippine cinema in conjunction with the second edition of the Brunei Film Blitz 2018. Attending the event were Founder of Mahakayra Institute of Arts, Yang Amat Mulia Pengiran Anak Hajah Nurul Amal Munjiatul Athirah binti Pengiran Sura Negara Pengiran Anak Haji Muhammad Bey Muntassir, , Deputy Permanent Secretary (Tourism) at the Ministry of Primary Resources and Tourism, Wardi bin Haji Mohammad Ali, Charge D’Affaires from the Philippines Embassy in Brunei Darussalam Consul Pete Raymond V Delfin, Brunei’s first international female director Siti Kamaluddin, Kita-Kita film director Sigrid Bernardo, member of Filipino Film Critic Dr Roland Tolentino and Entertainment Editor of the Philippine Daily Enquirer Rito Asilo. 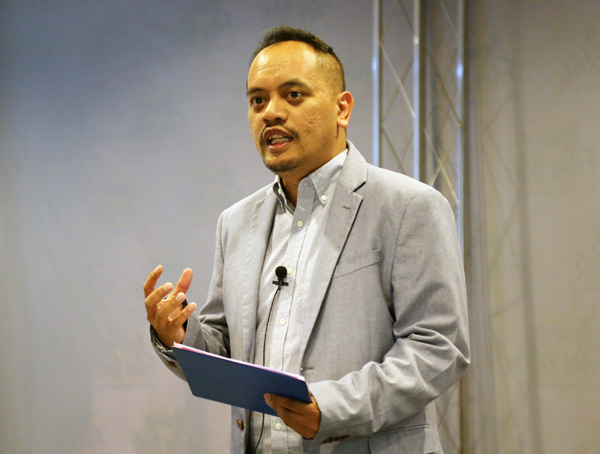 According to Consul Pete Raymond, the Philippine movie industry is one of the most influential phenomena in the Philippines as it provides not just commercial value but also employment and milestones. 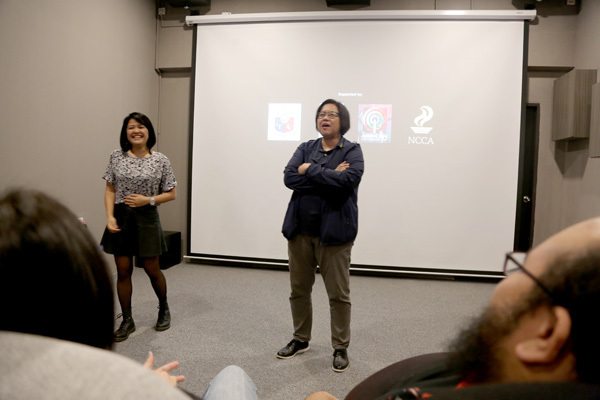 It was nice to see the director of Kita-Kita Sigrid Bernado in Brunei who will also helped with the masterclasses as part of the Film Blitz workshop. 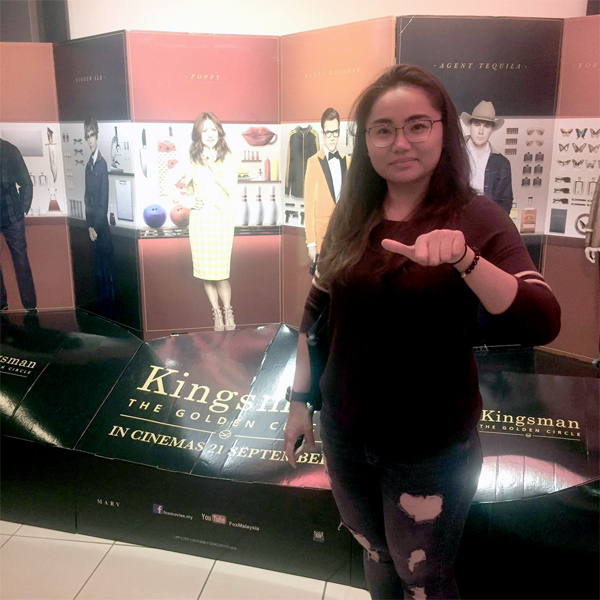 She will share bits and pieces of her independent movie that became a multimillion box office success and talk on her special director’s cut of Kita-Kita and why she had two versions of Kita-Kita, where the other was a commercial release. For more information for the scheduling of the workshops and power up classes, you can click here for bookings. Each of the workshop costs BND 20 and you will learn things such as Director DNA, Talking Pictures, Sonic Cinemascapes, Filming on a Budget, Directing Actors for the Screen and lastly, the 96 Hour Film Blitz Survival Class. So have DC Extended Universe redeemed themselves for the lackluster product (Justice League, Dawn of Justice, Suicide Squad)? Many would say that Aquaman could potentially be the deal breaker for DCEU in terms of its success and also the reception it will receive from movie-goers. I’m for one wasn’t all that thrilled when I watched all the trailers of Aquaman. I just happened to love movies so it was a no-brainer that I will eventually watch Aquaman. Out went Zack Synder whom I really loved with his previous works such as Watchmen and 300. His influence on the DCEU have been so mediocre and I’m glad the studio decide to bring a fresher director and now we have James Wan who is well known for movies like the Conjuring 1 and 2 and let’s not forget, he directed his biggest movie to date in terms of box office revenue – Fast and the Furious 7. So to have him on board for Aquaman brings a fresher look on things and did he deliver on all fronts? The Good. This, I have to agree, that having James Wan to direct an already troubled studio for DCEU, was a bold move but a better decision. The movie delivered higher than my expectations as I had reservations from their trailers. This is one of the those movies where you can excuse some of its cheesiness (many layers too) and also its silliness (aplenty). Other than that, I had a blast with Nabil who also gave an encouraging feedback because we both shared the same sentiments when it comes to the DCEU. The half-Atlantean Arthur Curry aka Aquaman was played by Jason Momoa whom we all are familiar with from the Game of Thrones series. There were times his physique was purposely used to woo the female audience which I thought weren’t necessary. He was a much better representation of a superhero character and something that Ben Affleck and Henry Cavill lacked in this department. I was also drawn by Mera, a princess from Atlantis played by Amber Heard (hottie) but I felt the movie tends to sexualize her presence on screen though it’s a PG rated film. It must have been all those subtle curves that raced the blood to our hearts :p I was surprised to see Nicole Kidman on screen and there was too much CGI on her to make her look youthful. As for the storyline and action sequences, it was commendable. 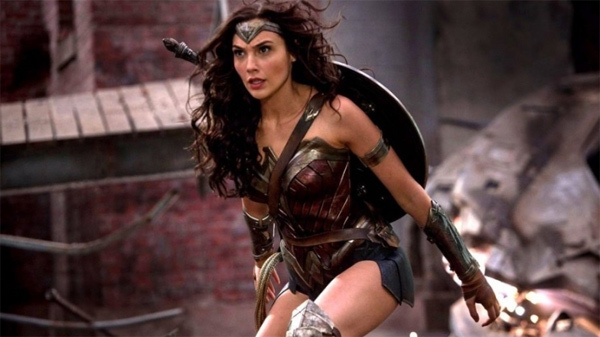 Perhaps, many would talked about the final act of the movie which was a huge improvement from an already well-received DCEU movie, Wonder Woman. Yes, this one I would agree and I would give an extra point for this. And lastly, for the Good part, is the CGI effects on Aquaman. It wasn’t as messy and eye sore like that in Dawn of Justice and Man of Steel especially in the battle scenes. Even the portrayal of Atlantis was visually ambitious and stunning. Yea, yea, there were times when the CGI can be problematic and reminded me of our hit local movie, Bodyman. Kidding, kidding, but I was just saying how it wasn’t up to a blockbuster kind of CGI. The Bad. Well, it’s a DCEU movie, right? Many could have gone wrong but it didn’t. James Wan managed to fix those broken pieces in DCEU but I can still feel the cheesiness and cringeworthy moments in Aquaman. It was almost at borderline but I was glad it didn’t go to Twilight level. The silly moments were tolerable but I wasn’t totally affected by it. Definitely no “Martha” kind of materials in Aquaman. If you were to analyze this movie as much as I did, you will probably know what I am referring to on those silly moments. 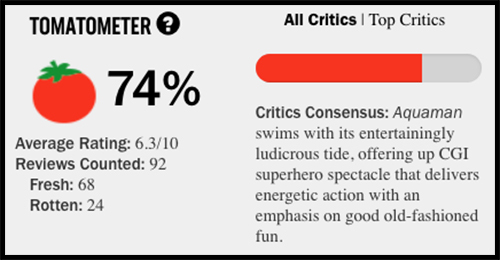 I guess the screen writers (Will Beall, David Leslie Johnson-McGoldrick) could have work better on this and I wouldn’t mind increasing my rating for this movie. Like I said before, Aquaman has its silly moment, campy at times but it was a ridiculous fun ride. The Ugly. I have no comments on this because I truly enjoyed this film from beginning to the end. 9 more days to go. 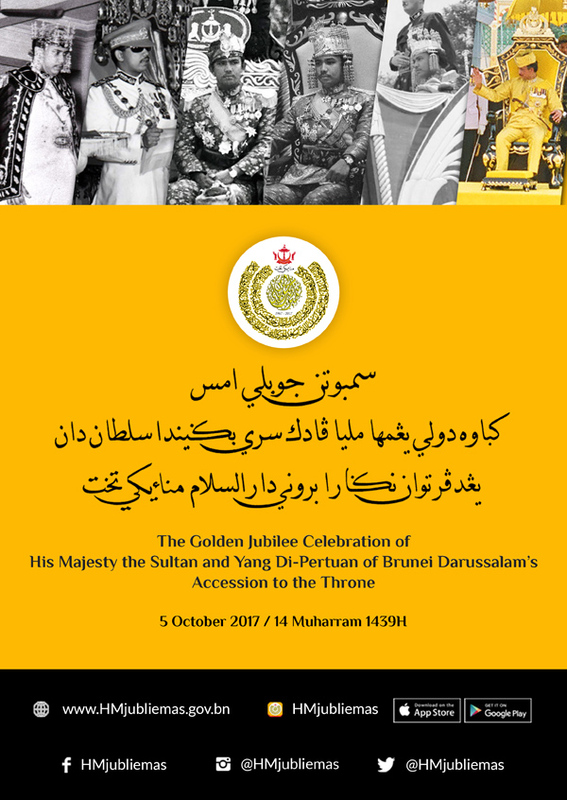 Golden Jubilee Celebration of His Majesty Sultan Haji Hassanal Bolkiah Mu’izzaddin Waddaulah ibni Al-Marhum Sultan Haji Omar ‘Ali Saifuddien Sa’adul Khairi Waddien, Sultan and Yang Di-Pertuan of Brunei Darussalam’s Accession to the Throne. Click image to enter the official website. 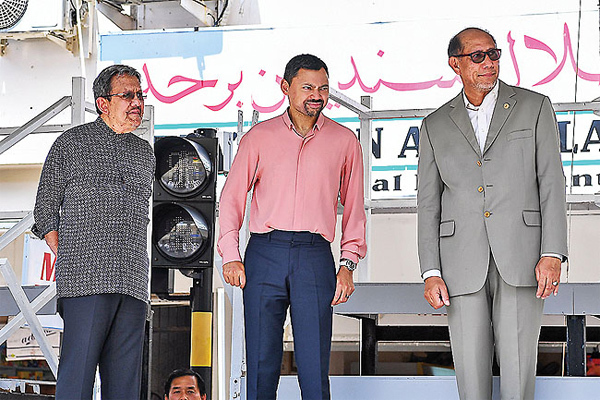 His Royal Highness Prince Haji Al-Muhtadee Billah ibni His Majesty Sultan Haji Hassanal Bolkiah Mu’izzaddin Waddaulah, the Crown Prince and Senior Minister at the Prime Minister’s Office in his capacity as Patron of the Golden Jubilee Celebration Advisory Committee; and His Royal Highness Prince Haji Sufri Bolkiah, member of the Golden Jubilee Celebration Advisory Committee during the full dress rehearsal last Sunday. Image courtesy of Infofoto. Congratulations to Aziz Haru on his latest single and music video, “Jangan” and it’s currently No.1 in Brunei’s iTunes chart. 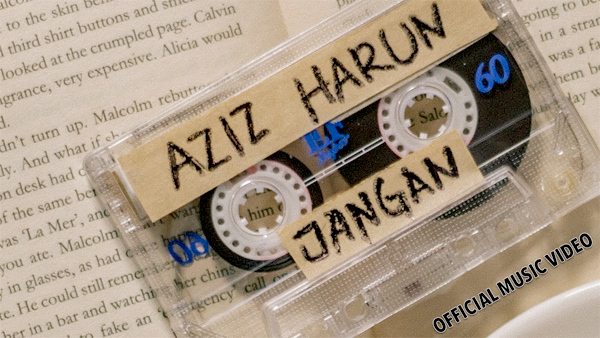 More on Aziz soon. 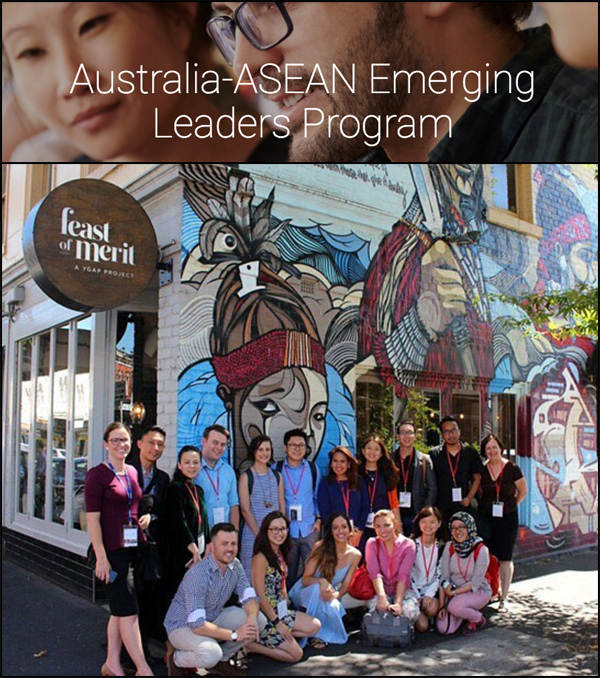 Applications for the 2018 Australia-ASEAN Emerging Leaders Program are now open! 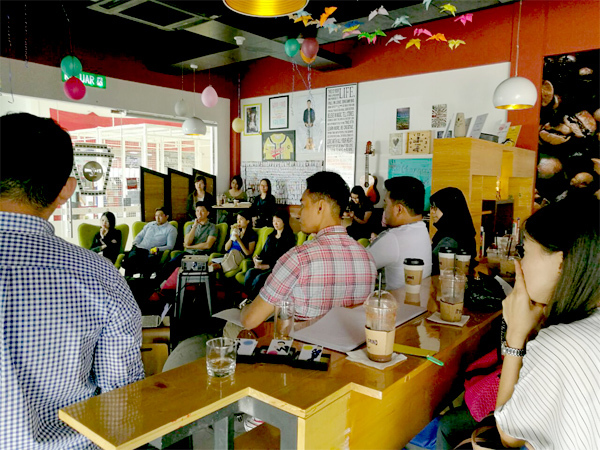 A2ELP is a three month leadership program for social entrepreneurs from ASEAN and Australia. The program includes a ten-day intensive program in Melbourne and Sydney with workshops, networking events, field visits and cultural activities. Applications close 13 October 2017. Click image to read more. 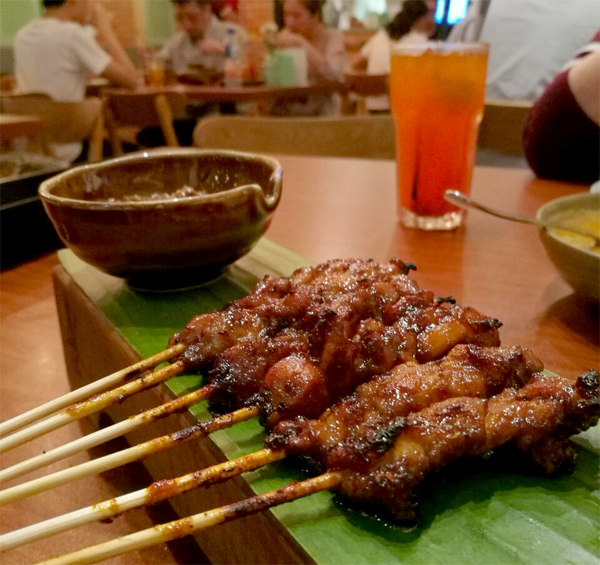 Awesome deals from SugarBun. 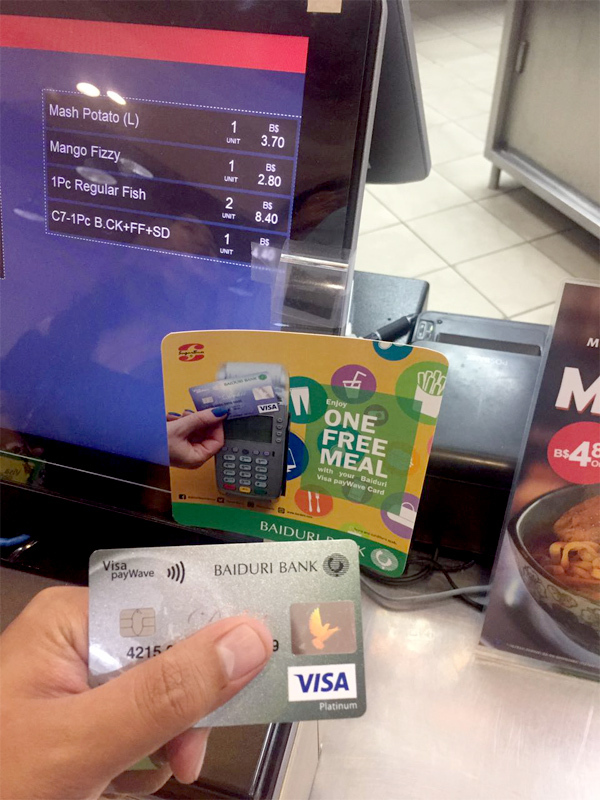 I managed to get a free meal by using my Baiduri Platinum Debit Card on Paywave. Terms and conditions apply. The newly open T•K Restaurant and I love the food too. Serving seafood as well. 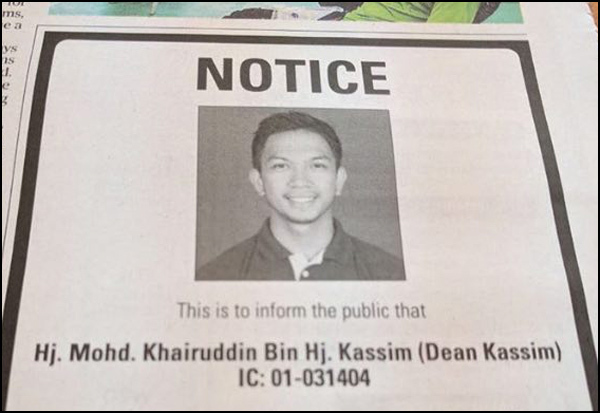 Located at the same building as Thien-Thien Gadong. 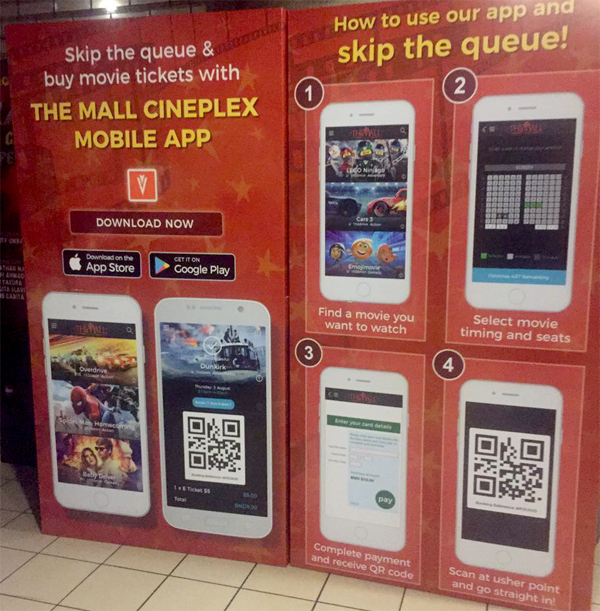 The app for The Mall Cineplex is quite convenient now. I believe this is the first of its kind for Brunei to use barcode to enter the cinema. Kudos, Mall Cineplex on this feature. 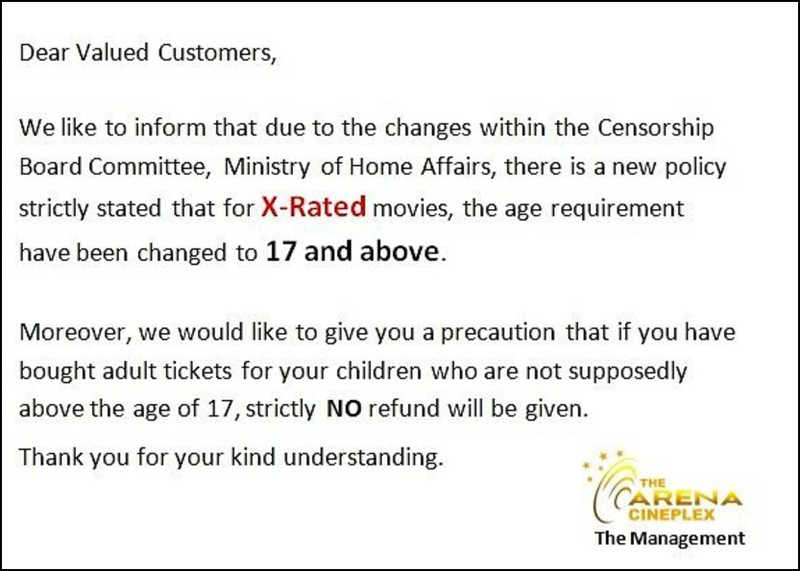 So the censorship board has enforced this ruling and cinema operators have been playing their best to not allow kids or children below 17 years to watch movies for matured audiences. This can be a bit tricky but it will be a culture that families will be accustomed to. 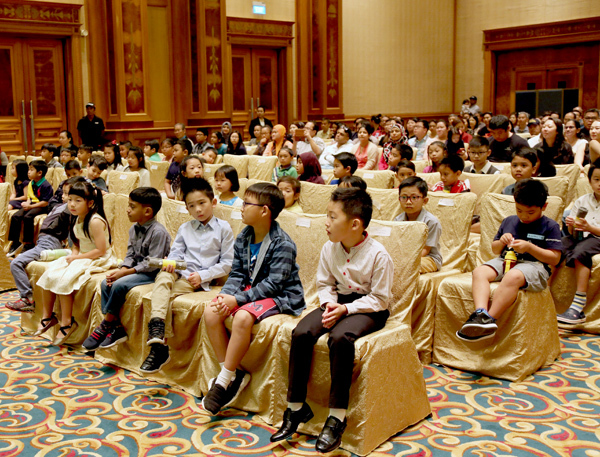 I do agree with the ruling and it’s just a bit more of awareness and publicity for parents to be aware of the ruling of catching movies with children in the cinemas. Epipeople Consultants had their first sneak at It’s A Grind at Citis Square. The responses have been great so far and more workshops to come in the near future. 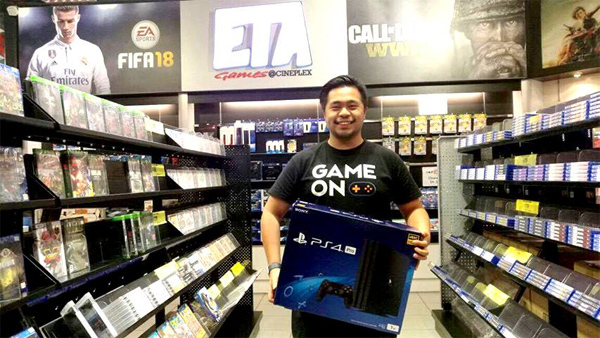 Game On’s PS4 FIFA 17 Tournament will take place at The Hassanal Bolkiah National Stadium from the 29th September to 1st October 2017. This tournament alone will be the BIGGEST prize pool in our eSports history, at over BND1,000 – all thanks to @battlepromms Will the current champion (Hanif Hamzah) successfully defend his title or will we be seeing a new champion for FIFA 17? We’ll find out together on 1st October 2017 during The Festival Hari Belia 2017. Image taken from ETA Games @ Cineplex. 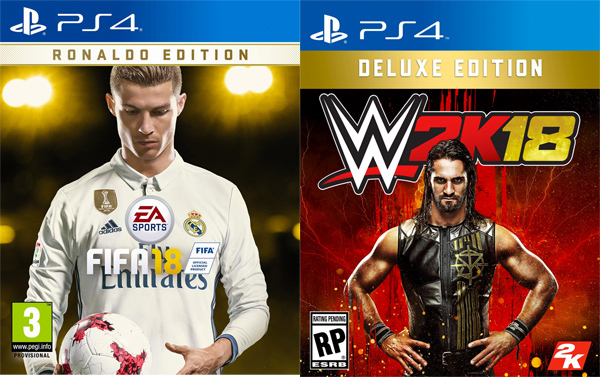 Something I can’t wait – FIFA18 will be out this weekend while W2K18 will be sometime in October. Check out ETA Games for updates. 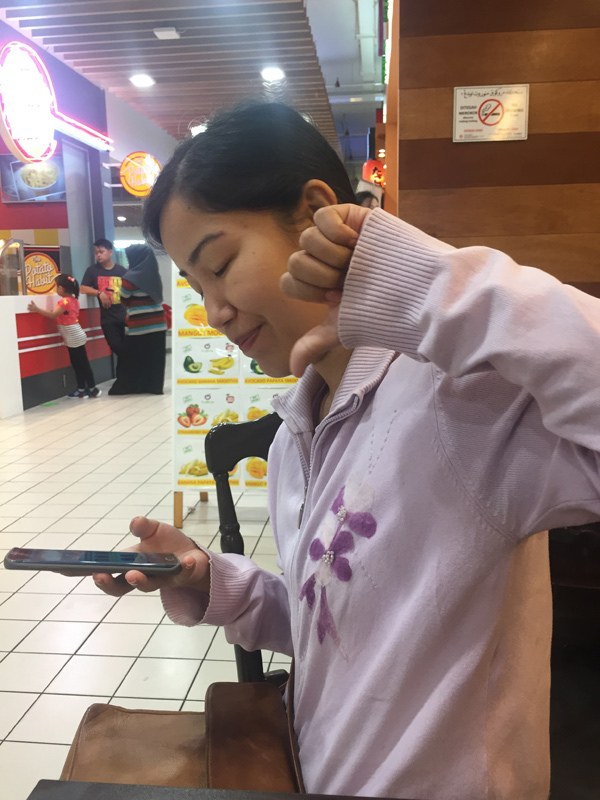 Nuriskandar was a bit sakai when he saw the new facelift of KFC at Giant, Rimba. I saw this yesterday in the papers and I thought it was quite unnecessary since he was not involved in any business transaction as his role was purely a photographer. I know of some people who even have higher positions or even dealing with clients from that company and had left but never been published in this manner. What gives? I do support the paper but this one thing that I don’t support. 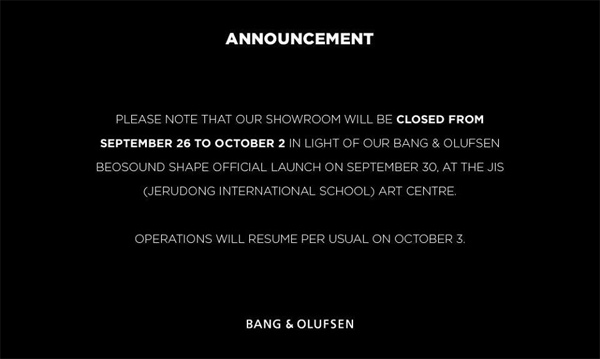 For your information at Bang & Olufsen (Brunei). Something I learnt as a speaker and an evaluator on stage. If I take things seriously, I can see my growth. Thankful for the people around me who have helped and supported me all these years. Taken during our recording greetings for the #HMjubliemas few weeks ago. 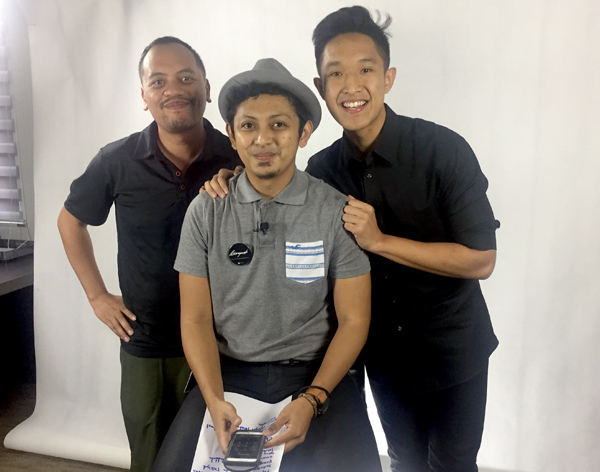 Catch us on RTB on our greetings to His Majesty the Sultan. The Mummy. Days of Brendan Fraser are gone. 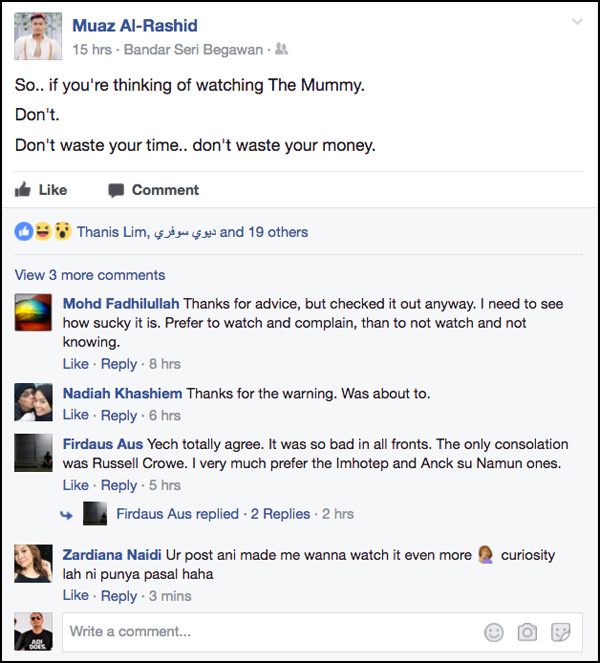 I grew tired of The Mummy series especially the third instalment. 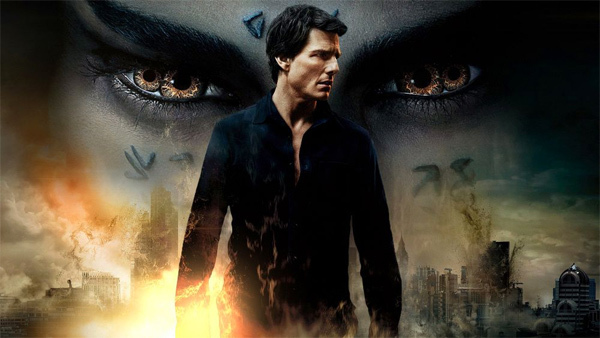 Now with fresher take, coming from Alex Kurtzman’s direction and A-list actor Tom Cruise and even promising trailers, the audience expects a better outing from this blockbuster. I shared the same sentiment and hoped to be entertained at least. So here goes. The Good. I would be lying if I said there are many good points. There isn’t much to boast about or something of interest on Tom Cruise’s latest outing. The first quarter was perhaps the best part or the most interesting part of the film. Everything else nosedived from there. 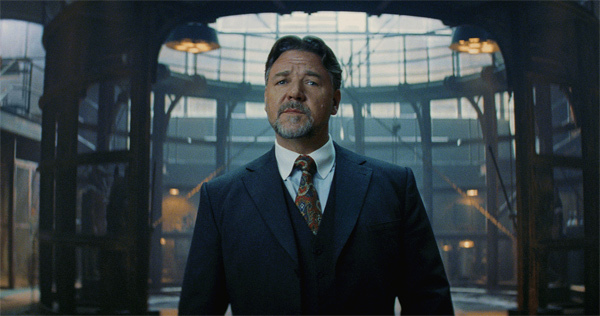 Oh except when Russell Crowe’s character came on. I was more interested in him than the actual Mummy. The only redeeming factor is that there might be a sequel considering, judging from the ending of the movie. 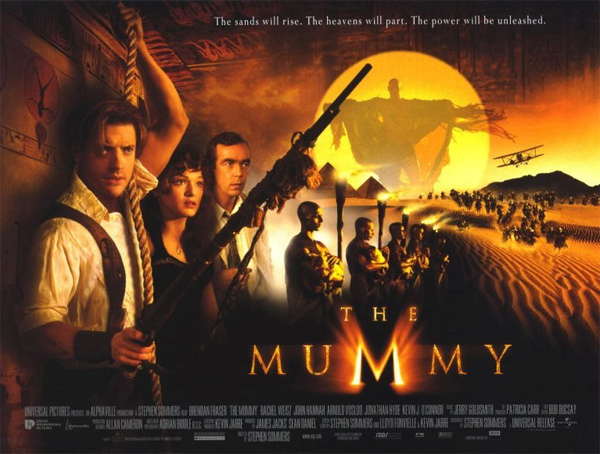 It was also a brave move for Universal to create another entity Dark Universe and the first being The Mummy. Who knows they might be other spin-offs. Does it look promising? So far it has covered its cost especially from overseas revenue while it performed under expectations in the US box office. The Bad and The Ugly. Now where do I start? The acting were forgettable and it was a waste of talent especially for Tom Cruise. The chemistry with his co-stars didnt’ bring much to the plate either. I can’t feel the connection and their affections (or the lack of it) were poorly projected. These are just some of the problems. Shall I continue? What is more interesting is the trailer. It reminds me of how I was duped by Transformers trailers and ended up too disappointed watching them movies. I know I will still watch the upcoming Transformers: The Last Knight and ending up with the same feeling. Same goes to The Mummy. The Rottentomatoes rating of 17% is one of the worst rating for a summer release of 2017. The action scenes were subpar and it was nothing so wow about it. It was best suited for am HBO viewing back at home. I wonder why the high costs and the result of the movie doesn’t really reflect on the producer’s spending. Hmmmm… The Mummy even tried harder in the fun factor department. The jokes were flat at times. The worst part for me is the direction of The Mummy or maybe the loss of direction. The movie has no identity as it has no idea what it wants to be. I don’t even know what Tom Cruise wants to be or what he wanted to be portrayed as. It’s very hard to recommend this movie if you haven’t caught this. Summer movies, how have they fared? Summer movies have been promising and some below expectations. 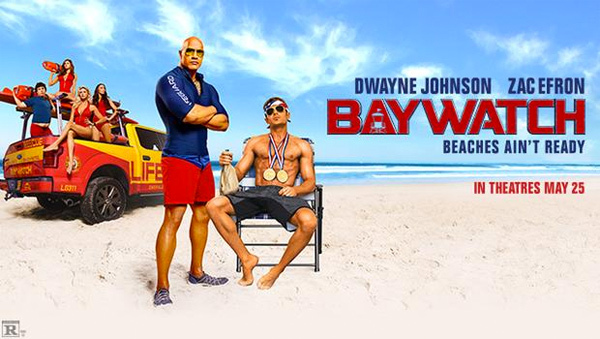 Currently Del Goh and I are in the hunt for bragging rights for the Summer Wager (Box office summer hits). 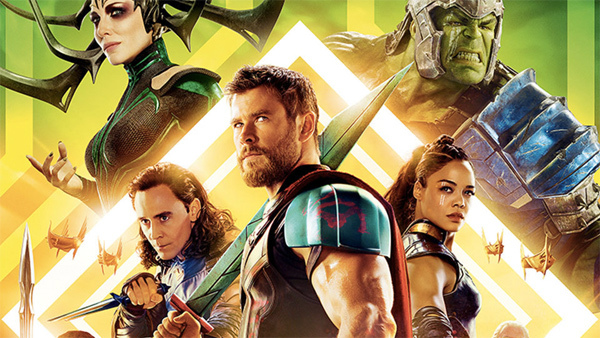 So what we did was ranking our prediction on 10 summer movies. Good movies doesn’t really translate to dollars and cents especially in Hollywood. It’s always fun to play around with predictions on summer movies. Last year, I won the wager and looks like I might edge him again this time round. Our wager was that my pick of Guardians of the Galaxy Vol.2 will fare better than Wonder Woman in the US Box Office. GOTG Vol 2 opened at USD 146 million and currently standing at USD 355 million after 6 weeks. 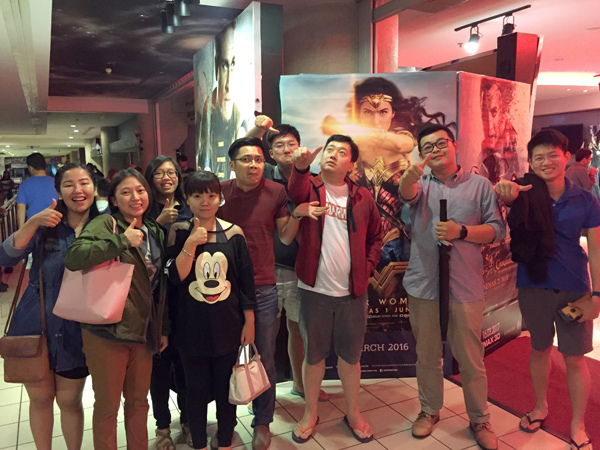 Del Goh’s prediction for Wonder Woman, it opened at USD 100 million last weekend and slightly behind GOTG Vol 2. Unless it has stronger legs this week and the following week, Wonder Woman can stand a fair chance in toppling GOTG’s numbers. Right now I’m optimistic with my wager and you owe me another Blu-ray title, Del (for now). Wonder Woman. Ah, the overhyped superhero movie. After many harsh reviews from Wonder Woman’s counterpart (Suicide Squad 25%, Batman v Superman: Dawn of Justice 29%), it’s such a surprise that Woman Woman scored over 90% on rotten tomatoes. Even higher than Guardians of the Galaxy Volume.2 (81%) *Impressive* So does it really translate to my overall experience? Definitely a resounding YES.. It was a run ride and I didn’t know it was running at 2 hours 20 mins. Well, it was definitely a better pay off than the same duration by Batman V Superman (too much cheese). Many reasons why to catch Gal Gadot as Wonder Woman – her complexion, her charm, her physique (ok, ok, it’s fasting time). You get the whole gist. She does have flaws in her acting but the chemistry between Gal Gadot and her partner in crime Chris Pine (as Steve Trevor) really made up for it. This is what missing in other Superhero movies and it was a nice touch to have in Wonder Woman. Good job by Patty Jenkins, a female director who only has two films under her belt, the other being Monsters. The film delivers great action sequences and well executed humour. Wonder Woman casts many charm to the audience. Am I panting for more? Maybe not to that extent. 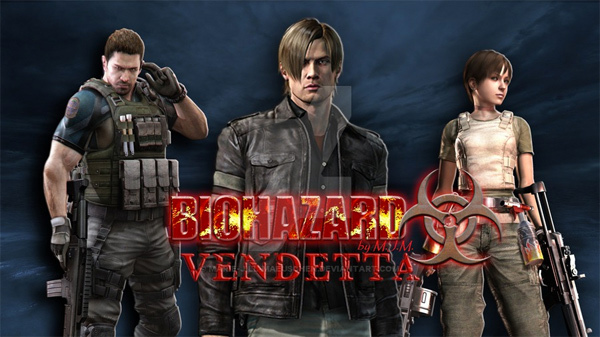 Resident Evil: Vendetta. I didn’t catch Resident Evil: The Final Chapter as I rather wait for the blu-ray edition. However, I contemplated to catch this animated version as I grew up playing RE games while being entertained by their in-game movies. The animation is just superb and crisp in detail. Sometimes it’s just feel so real. Was I entertained like playing RE on Playstation? Yes, I was. From start till the end. The acting was a little putting but I didn’t care as much since it’s an animation. I would say this is more of a value to catch than Milla Jovich’s RE. Makes me want to play my old RE games. Speaking of RE games, which is your favourite RE game on Playstation? Baywatch. Eeeer, I came out watching this hit remake, feeling meeehh. What’s there to love about this? Hot chicks aren’t enough to gain my interest. I was more into the comedic side of Dwayne Johnson and Zach Efron. Their chemistry is a hit and miss but more of the latter. The jokes are flat at times and the only character that can pull off the charm is Dwayne “The Rock” Johnson and maybe the Ronnie character. Sometimes I wished the producers just shelved this project. After the major flop in the US box office (and also my prediction), I doubt there will be a sequel for this mediocre remake. This is a no-brainer movie and I expected a lot. Even The Rock’s charm can’t save it. The score on Rotten Tomatoes is even harsher than my rating. Oh well. Let’s hope he redeems himself in Jumanji, his next movie. Well, he did superbly in Fate of the Furious. After a year of hiatus, I’m back again. Hopefully to work closely with Progresif for my movie reviews. 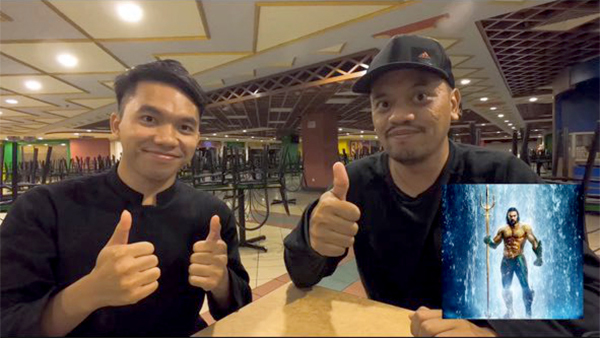 This should be exciting 😀 For now, enjoy my episode on the summer wager between Del Goh and I on who will win the box office summer movies of 2017. It has been a while since I actually do a review on my blog on my movie updates and reviews. I’m still over the moon with La La Land, a movie I caught four times (3 in the cinema, 1 in Royal Brunei in-flight entertainment). This would be technically my first movie review of the year in my blog and god knows why it has to Beauty and The Beast. Perhaps, the reason being that Beauty and The Beast has been gaining many tractions in Brunei and our neighbouring country Malaysia. 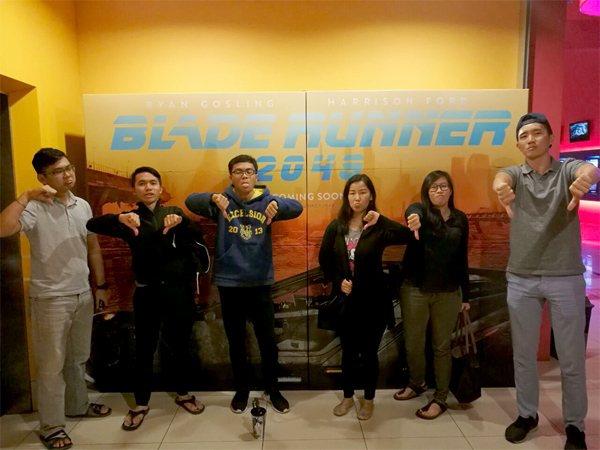 Now we know how it felt when Deadpool was banned and not in Malaysia. Speaking of Deadpool, I still don’t get it why it was banned in the first place when John Wick movie (shown in February) had more extreme violent content as compared to the R-rated superhero movie. 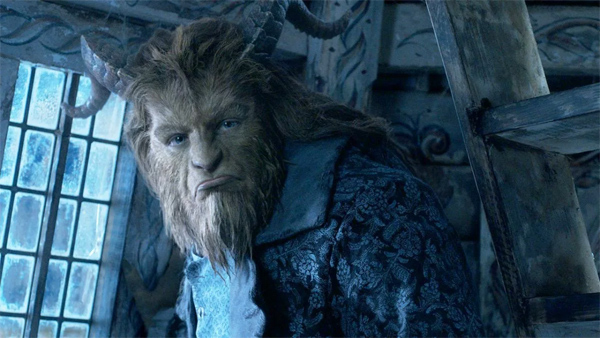 Anyway, back to Beauty and The Beast, I quite enjoy the live-action remake to an extent. I had my expectations slightly lower because it’s never easy to pull off an already impressive animation of Beauty and The Beast. Here are the pluses: Emma Watson shines in patches of the 2 hour film. She can pull off the looks of Belle and she’s already an icon in the Hollywood scene. The musical were impressive from start to finish. It does relive the moments of when I was a teenager. This is the perhaps the strength of the latest Disney movie. The producer also gave much respect to the original story with some additional plot which are unnecessary. Having said that, they did, however, include elements that fill in the gaps which explained certain scenes in the original Beauty and The Beast animation. That was a nice touch and gives more closure to the audience. The visuals were stunning, a forte expected from Disney. I love how the other supporting casts made it more memorable and not relying too much on the main characters. I was touched by the final act and it was more of a saviour than anything else. A great effort by Bill Condon the director. 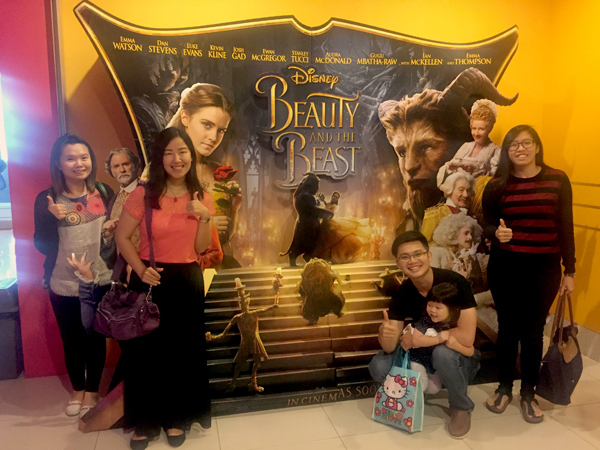 We all had fun catching Beauty and The Beast yesterday. An average verdict of 7.5 from all of us. Angela loved it that she danced after the show. What I thought was lacking: Don’t get me wrong. I’m still impressed with the Beast character but I couldn’t feel the chemistry between Belle and her boyfriend *eseeh* I just feel that something’s amiss but I don’t know what it is. Maybe Emma didn’t use to her great potential or maybe she’s not right for the role. Either one but man, she’s still a hottie (biased). They were some pacing issues but not a big deal. I did nap for a bit in the middle. Yes, I was tired and didn’t have enough sleep. Then again, it was an after lunch movie. Luke Evans as Gaston was good but not as great as the one in the animation. Again, I can’t help it but compare because I really love the classic animation. Oh yeah, Emma Watson is an okay singer and I wish Bill Condon would have casted a more eloquent singer with commendable acting skills. There are a few from the defunct Glee TV series that you can refer to. Okay, I wasn’t being serious but yea, Emma may have the looks but lacks in the vocal department. Overall, I still adore the live action remake. It’s entertaining from start to finish. The casts could have done more justice but the musical scenes were the saviour to my liking. Yes, the original had a more emotional impact and I believe a few of my friends shared the same sentiments. The scores on Rotten Tomatoes weren’t that high as compared to Cinderella (83%). The original animation of Beauty and The Beast scored a high 93%. Amazing opening weekend for Beauty and the Beast. It even beat Batman V Superman: Dawn of Justice opening weekend. This movie is bound to make a few hundred millions and even break the billion mark worldwide.